After having been here before and ticking off the overcrowded touristy places like the province of Phuket, Pattaya, and the bustling Bangkok, I wanted to explore the unseen Thailand this time. And I started off with the one which I’d in mind for quite long, Chiang Mai. 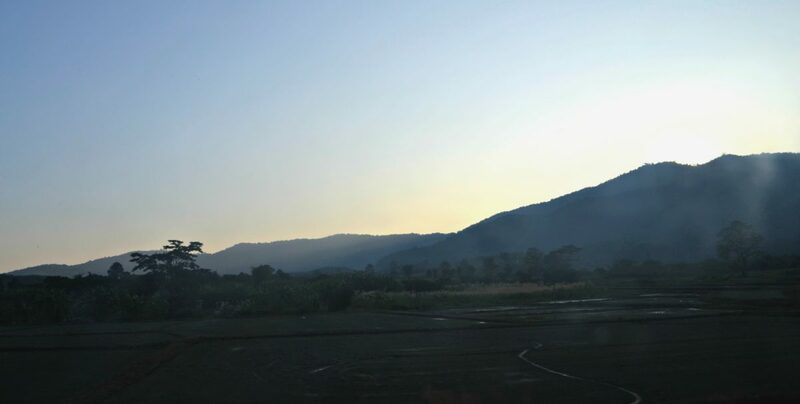 Moving further took me to Chiang Rai, a scenic city amidst the mountains. 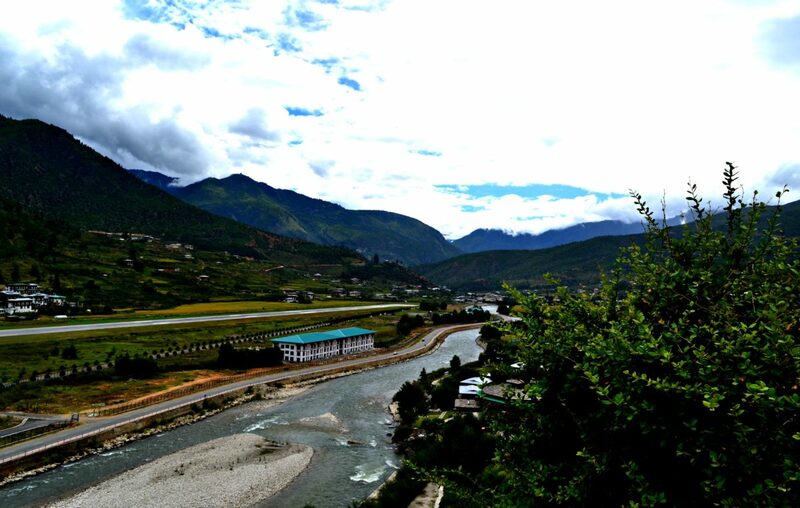 It is a city which has that eclectic charm of the countryside but still embraces the modernisation with the same flair. And the more I researched about the places to go off the beaten path in the North of Thailand; I discovered some amazing things about these locations. 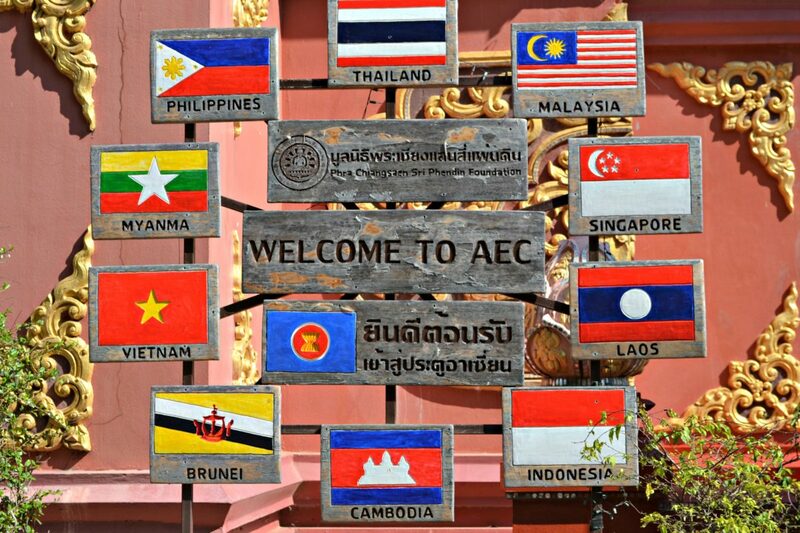 They are totally unlike their touristy counterparts – a bounty of nature – incredible waterfalls, astounding national parks, an abundance of lush greenery, pleasant weather (which is almost impossible to find in Bangkok/Phuket). 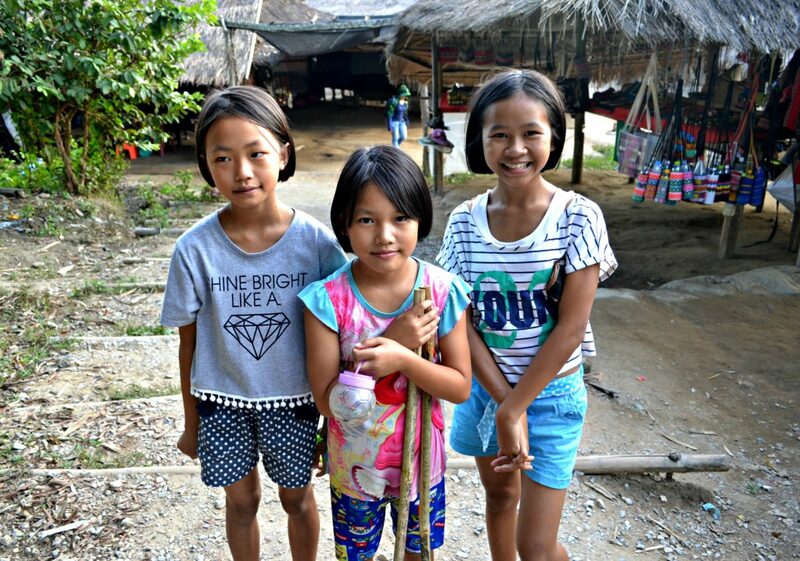 There is no or little crowd, scores of tribal communities and their remote villages and a chance to get to know the oblivious Thailand and its amazing, kind people. After having fallen for the charismatic Chiang Mai and its vibrant night market, I opted for a day tour to Chiang Mai with a friend. To be honest, the tour was not exactly offbeat or less touristy per se (as there are at least 20 to 30 types/combinations of these tour packages available from Chiang Mai to these places around). 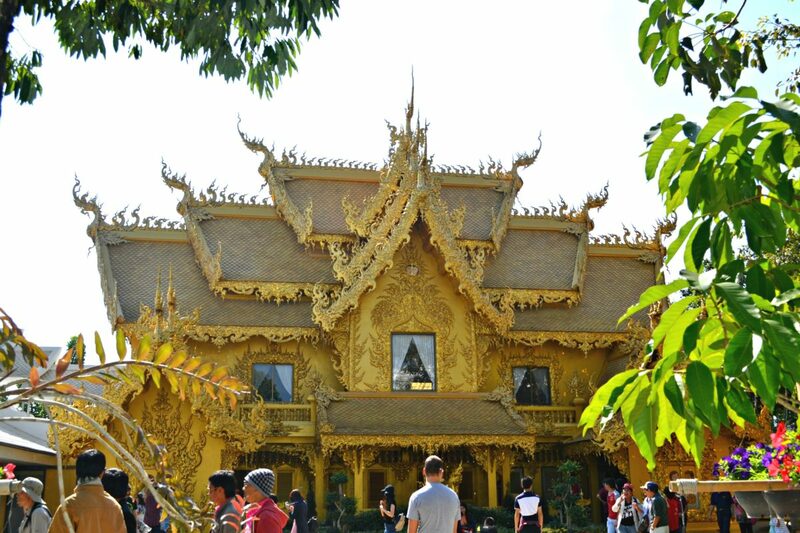 Since Chiang Rai had drawn me and I had no luxury to extend my stay in Chiang Rai for lack of time, I took this tour. If you’ve got plenty of time in Chiang Rai, you could visit the truly offbeat circuit. Read about that in the latter part of this post. Well, we started off in the comfortable commuter bus in the morning. The guide began by briefing about the itinerary. From the tone of his briefing, I could make out how proud he was to introduce us to these secluded getaways. Although some of these are mostly on the verge of becoming touristy/commercialised (which is the saddest part), it is inevitable to dismiss the blissful beauty of these places so close to nature. 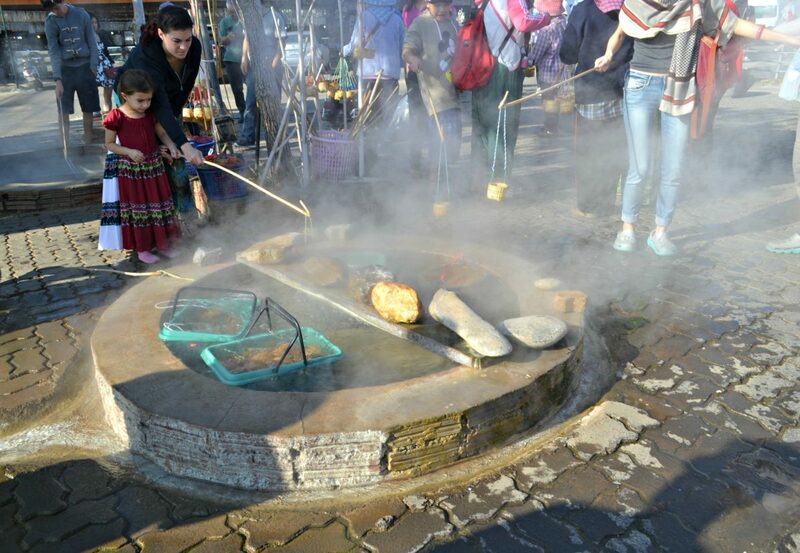 The first stop was hot springs, which was overcrowded already with people wanting to take their shot with the springs. Frankly, I was a bit disappointed with the place given that it was just a market lane with an artificial hot spring in the centre. Inevitable to avoid when you are on a group tour! 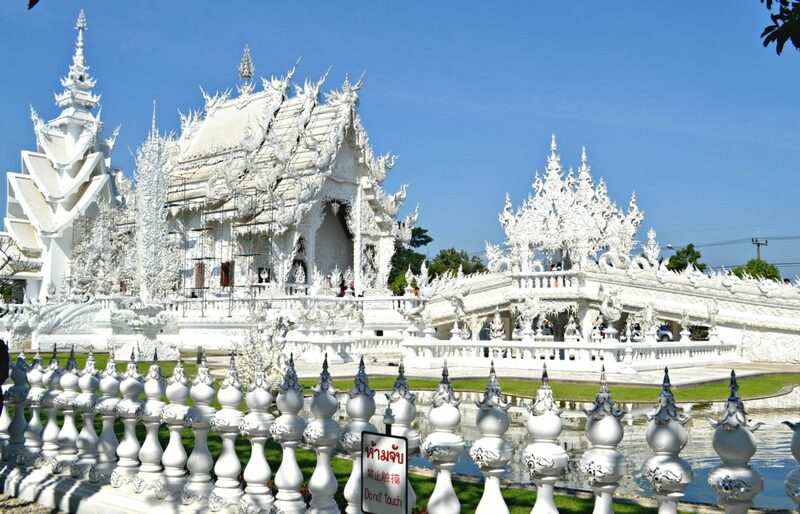 The White Temple or the temple of Wat Rong Khun is one of the quite popular points of interest of Chiang Rai. The magnificent architecture and the art attracted me at once. And I got curious to know the history of this vast Buddhist temple. Apparently, the white temple is a privately owned temple built by an artist who raised funds over the years. The principle on which the temple is built very interesting enough. As soon as you enter the premises, you’ll have to cross a bridge to reach the main temple. 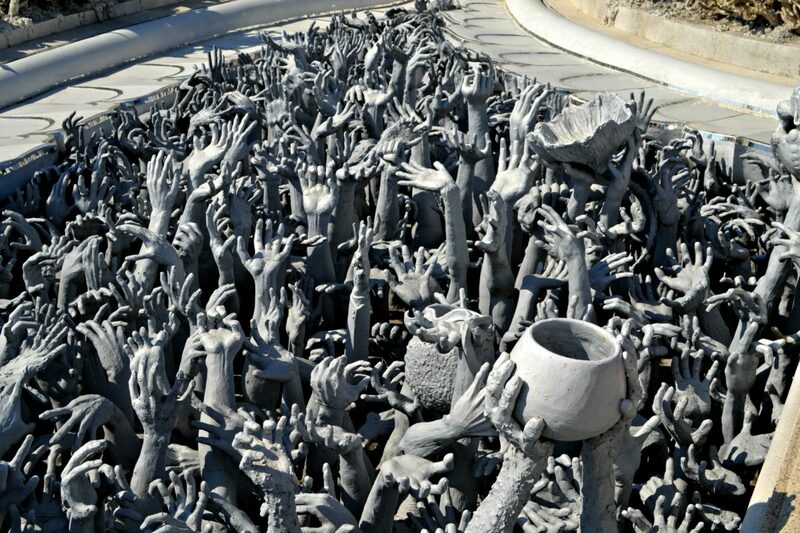 On either side of the bridge, is a lake, but not a one with water.Instead, there are hands of people raised above. They represent the earthly desires and the distractions in this worldly life, and the bridge is the path of life, crossing over which leads to the temple of truth. 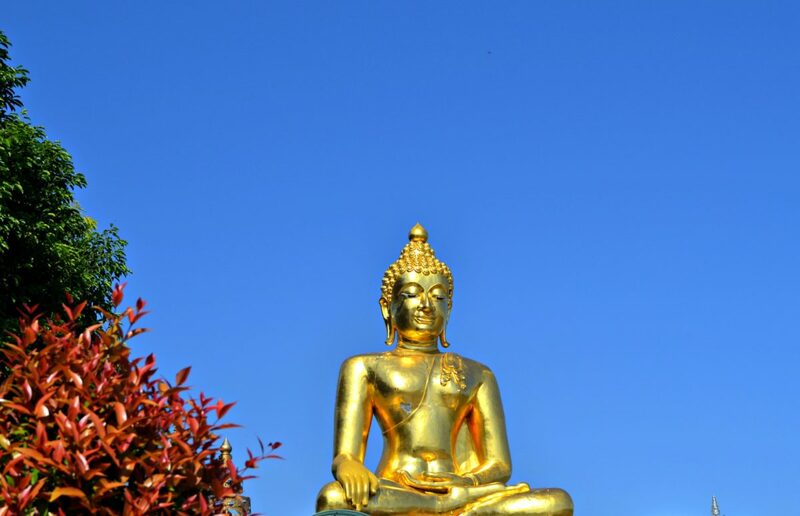 The temple houses a beautiful statue of Buddha, adorned with the ever peaceful and contented smile. Crossing over to the other side takes you to a golden temple structure, which glitters in the sunshine and stands apart, surrounded by the white temples all around. 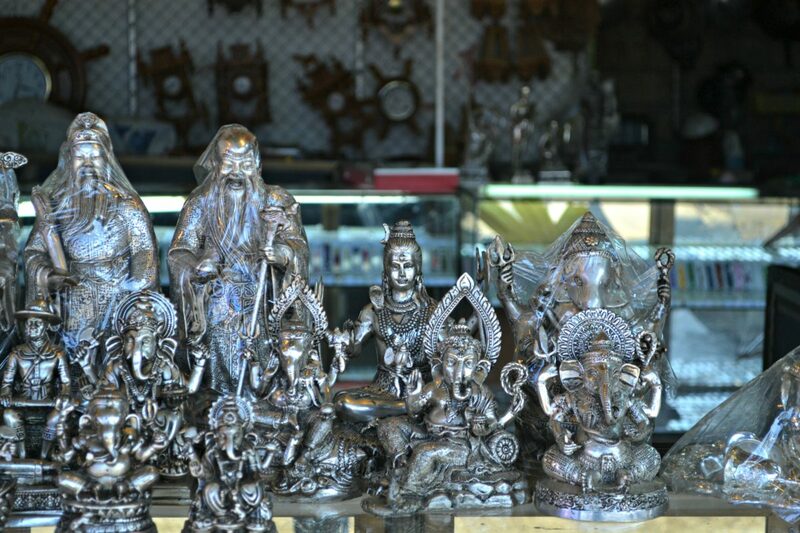 This temple is believed to represent the materialistic things a man desire – his hunger, greed, lust, passion, anger and all the things which bind him to his possessions and are believed to be a hindrance on the spiritual path. A man’s remarkable spiritual journey is beautifully depicted in the entire temple complex. These two different themed temples stand side-by-side as if asking the people to choose their temple and the path which they decide to tread. I was amazed by how a deep, spiritual thing has been communicated to people through these beautiful sculptures in an unconventional way. 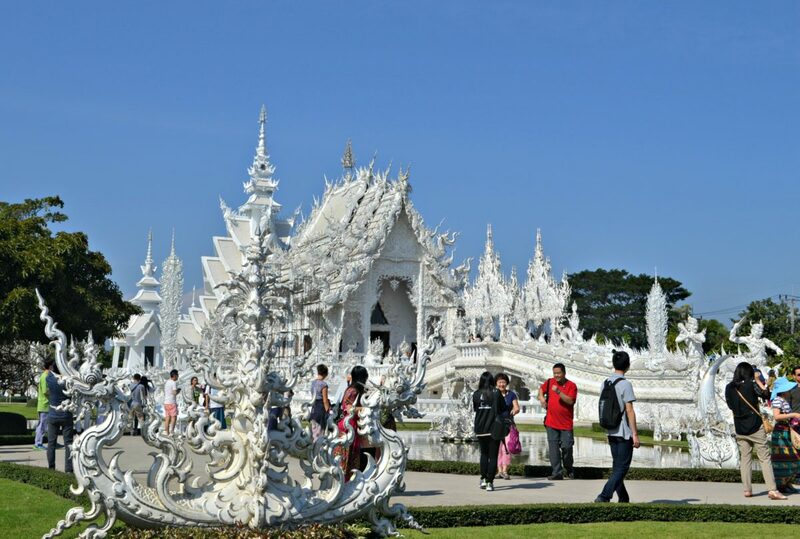 The white temple is nothing similar to a traditional Buddhist temple which you’d see in Thailand. Except picking up few traditional styles, the temple stands as a testimony to the fact of how the modern generation of Thailand has evolved to follow the spiritual path in conjunction with the modernities and the materialistic consumption. 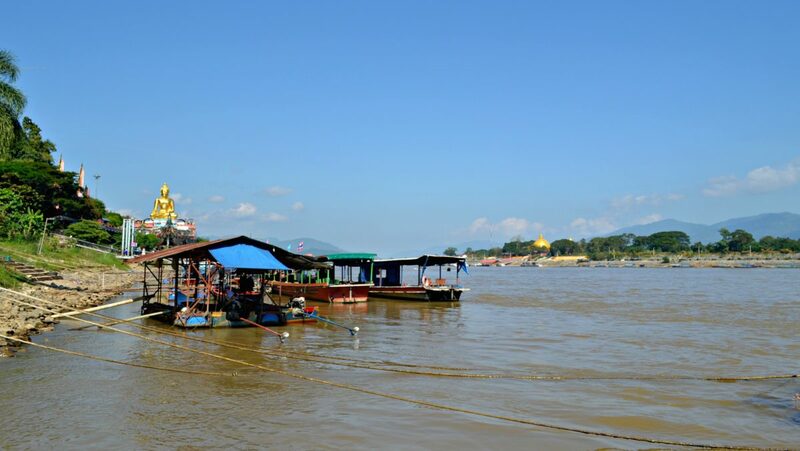 Driving through the fabulous highway flanked by the picturesque countryside, we headed over to reach the confluence of three neighbouring nations across the river Mekong. Again, this is one of the most popular places to be ticked off the list of travelers, and the place is filled with tourists for the most part of the time. 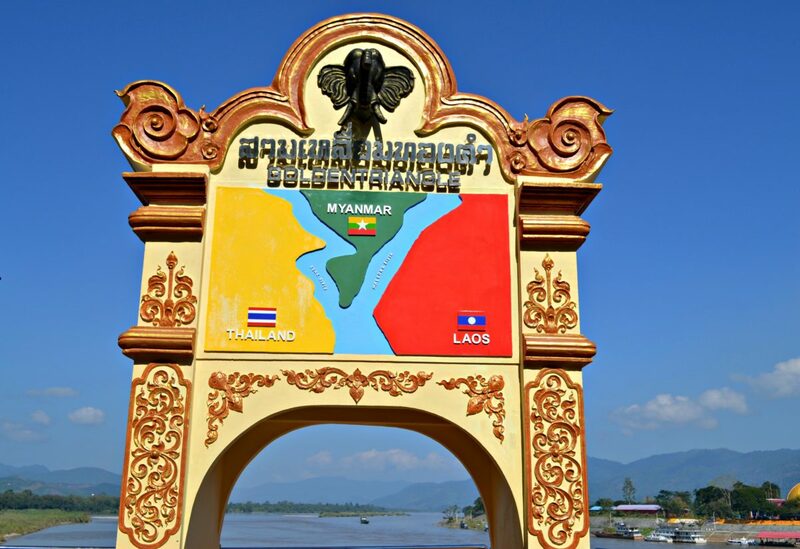 The countries of Thailand, Laos, and Myanmar are separated by the natural border of the river Mekong. Although in recent times the word ‘Golden Triangle’ refers to the confluence of borders of these three countries, the name was coined to signify an infamous opium trading centre. A lot of illegal smuggling of the drugs happened over the borders for a long time, before it stopped. If you’re interested in knowing the details about the border, you should visit the House of Opium Museum, which houses an interesting collection about the history.There is a massive ‘Buddha Temple’ beside the river, which looks scenic. The visa available at the official immigration office beside the temple lets you cross the border to Myanmar. 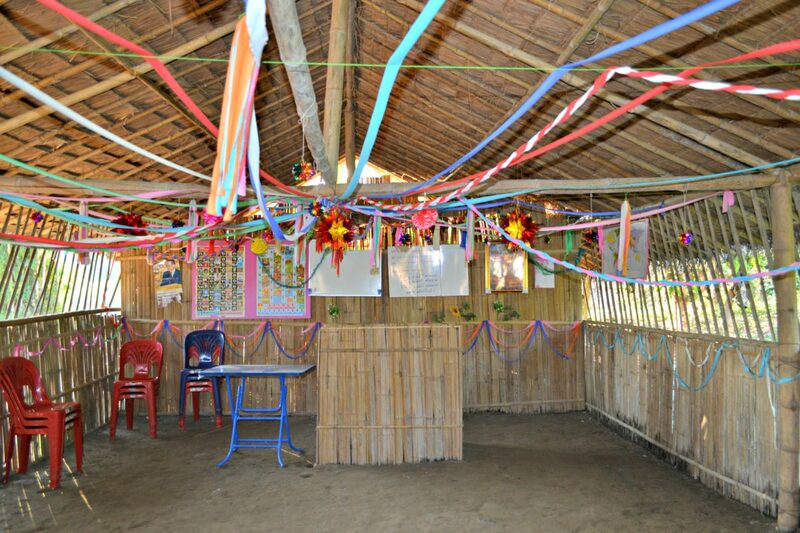 After stopping over for a buffet lunch, we headed to the Akha hill tribe village tour. 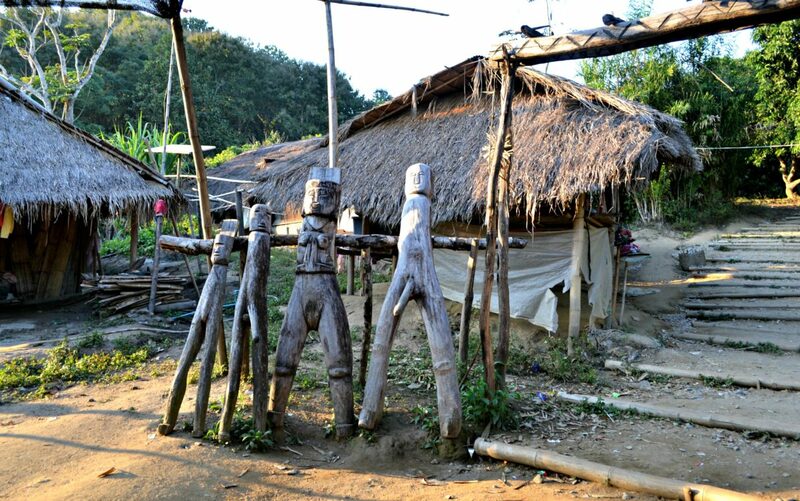 The tribal communities of Akha, who have emigrated from Myanmar have been living here for decades. 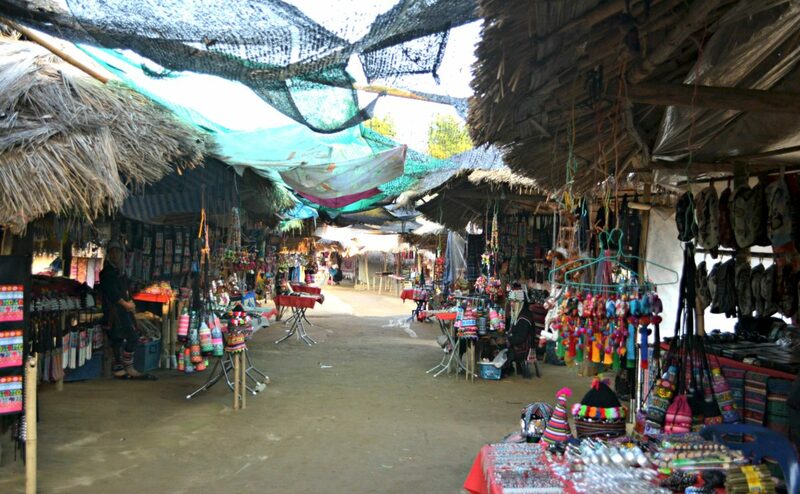 Tourism is one of the main streams of income for these people as they sell their handmade products to the tourists. 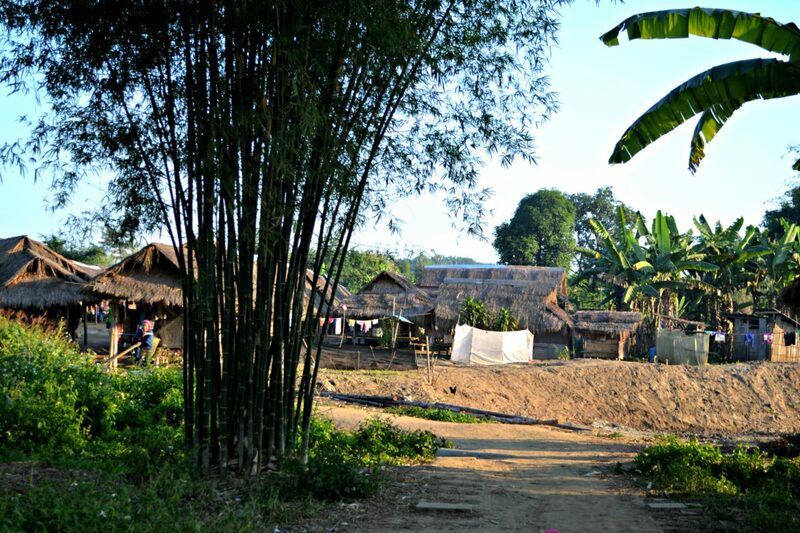 Over the years, they have been able to sustain through tourism alone as there are about three villages including this Akha village have been set up as ‘commercial villages,’ which are open for tourism to promote and enable the sustenance of these tribes. 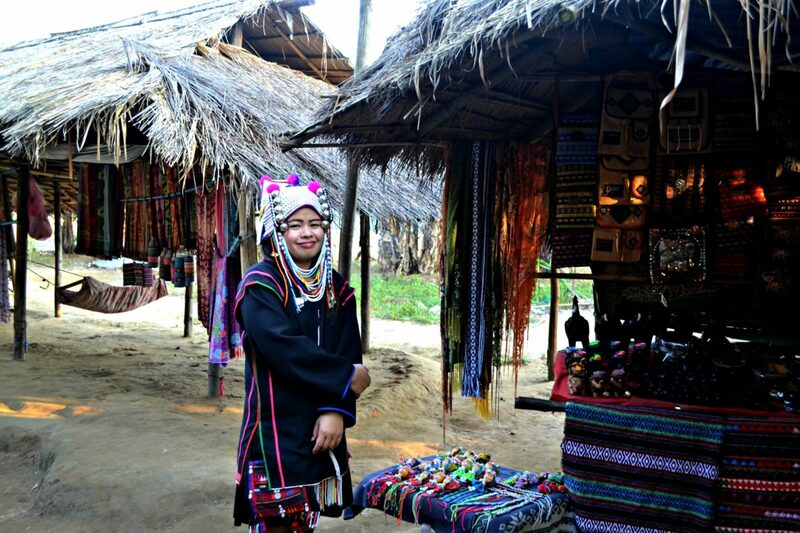 The long neck tribe or the Kayan tribe is believed to be one of the oldest communities, where the name of the tribe comes from the women of the tribe who wear brass coils covering their entire neck. The girls posed eagerly for my camera, and their cheerful, positive attitude emanated their confidence. Some of these kids even try to speak English, something which they have picked up from the tourists. Isn’t the traditional attire so colourful? If you’ve got the time or would love to explore more in and around Chiang Rai, you should visit Doi Angkhang, which is home to the tallest mountains and picturesque landscapes and many tribal communities. 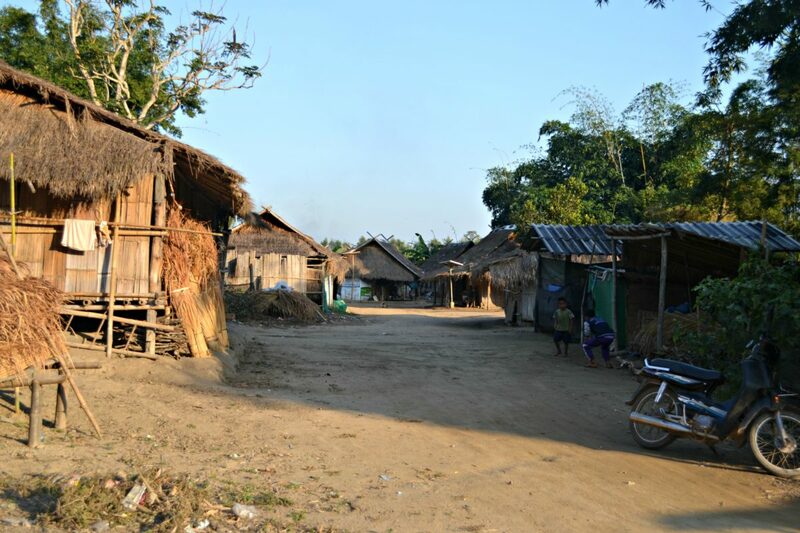 Also check That, a quaint town further up, near the Myanmar border. It’s better to hire a taxi to visit these, though, as the transportation is not convenient enough. 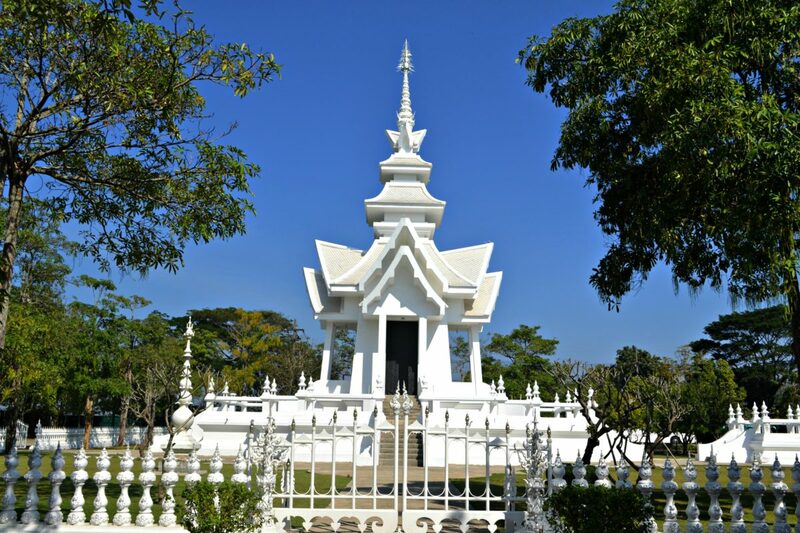 How to reach – It is approximately 3 + hours of drive from Chiang Mai. Transportation is not a problem as there are plenty of buses plying every day. 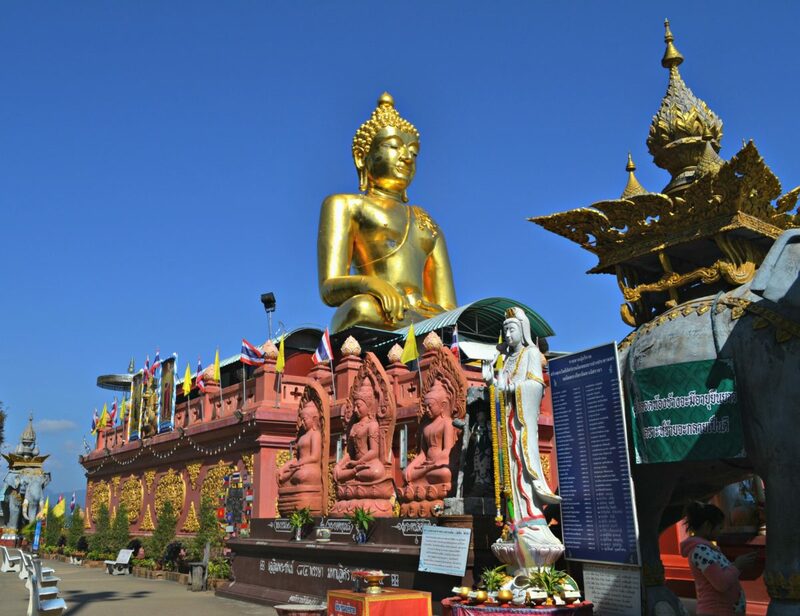 Buses to Chiang Rai are available from the main cities like Pattaya and Bangkok, although the journey is extremely long. You could also travel by train, but take a bus for a quicker or a cheaper transport. Getting around – Hiring a bike for exploring the nearby interests are a better choice. For further places, take up a taxi or check for songthaews as they are much cheaper.